W. H. Davenport (William Henry), b. 1868. The Anthology of Zion Methodism with an Appendix. 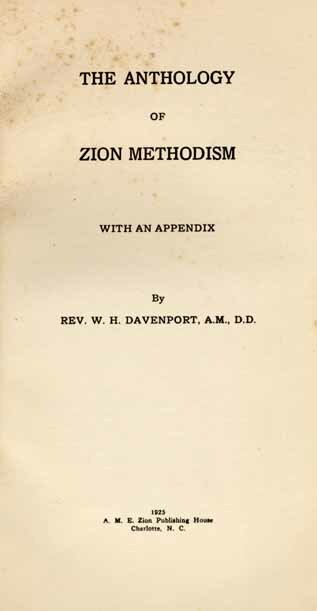 The Anthology of Zion Methodism with an Appendix. Charlotte, N. C.: A. M. E. Zion Publishing House, 1925.